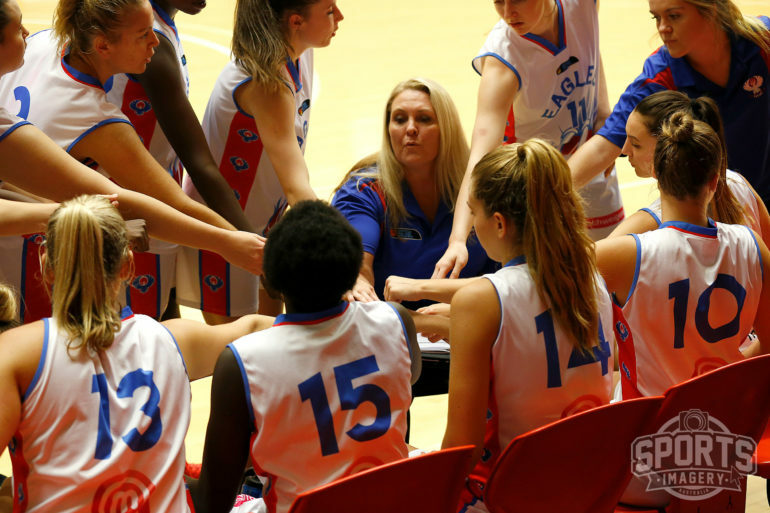 TANYA Fisher is seeing plenty to suggest the hard yards of developing from ground zero is beginning to pay off at the East Perth Eagles with it not just what’s happening on the court, but using basketball as a source of integrating the whole community together. When Fisher took over as coach ahead of the 2018 season, she decided to strip things right back, let some grizzled veterans move on and start developing a group from the ground up. She always knew it was going to be a long task given the initial stages and even right through last year was all about getting the players to have a fundamental basketball skill set and fitness level that would allow them to start being able to compete. A winless season was the result, but it was all about continuing to grow and the key to that was keeping the group together. Starting with a new group and going back to scratch again would mean it’s all for nought. 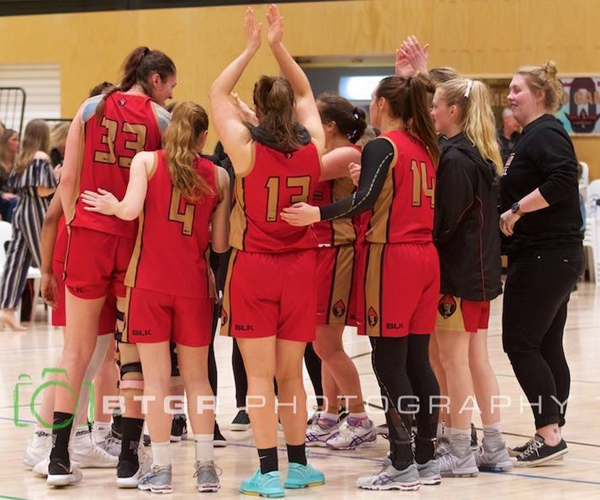 That’s what Fisher was so excited about coming into 2019, because aside from her eldest daughter Eryn being at college and Akim Lual joining Cockburn, all the players she wanted back returned for another season to continue their upward trajectory. 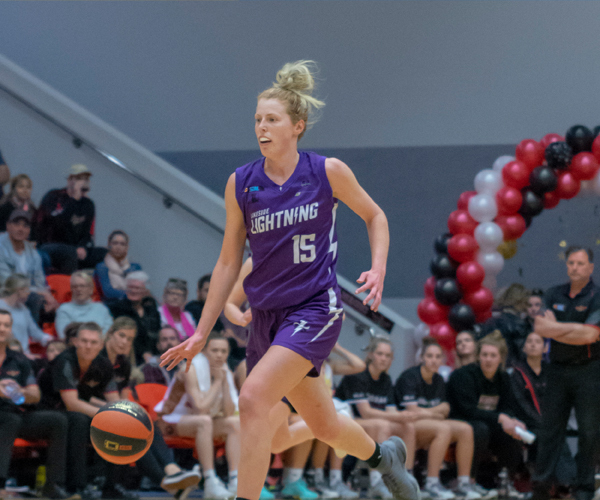 Now in terms of wins and losses, it still might be very much in development phase with East Perth having now lost its last 36 Women’s SBL matches, but it’s about much more than that and clearly you can see signs of growth. 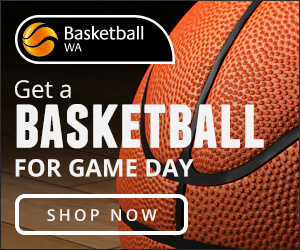 That’s not to say Fisher enjoys losing, one look at her career and you know she’s one of WA basketball’s great winners. She played 222 SBL games in her own right where she was MVP in 1995 and won a championship with the Perth Redbacks in 1989. That’s not even taking into account her eight seasons in the WNBL including being part of the Perth Breakers championship in 1992. It’s fair to say she’s used to success and also knows what she’s talking about meaning her young group is only too happy to let her develop them. Her players are now able to take on more complex instructions rather than having to stick to the most basic of basic game plans, and for longer periods in games that is seeing them be more competitive. 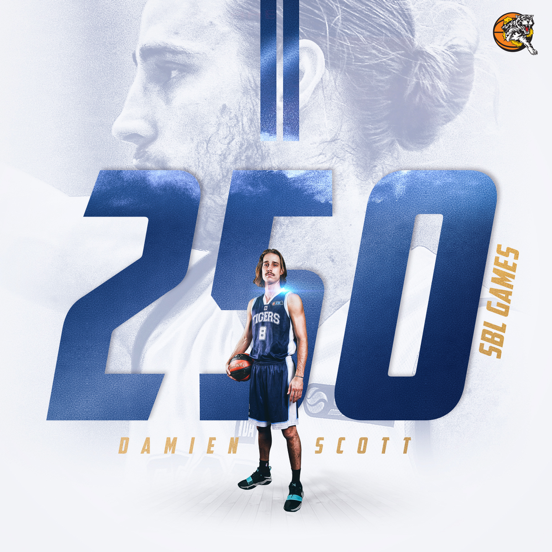 There have been signs of growth already in the games this year against the South West Slammers, Cockburn Cougars, Joondalup Wolves and Mandurah Magic. For Fisher, the fact that daughter Bree, Georgia Lowe, Cameron Flynn, Rose Aryang, Stacia Muparutsa, Kalypso McCallum-Smith, Ella Dimanlig, Kailee Booth and even Sam Jackson and Ashley Munrowd-Harris wanted to continue their growth as a group was the most pleasing sign entering 2019. It’s all about developing their basketball talents and physical levels to become top-level basketball players and Fisher sees plenty of signs to suggest things are coming along. “We only lost player from last year aside from Eryn who went to the States so that tells you something about the culture we are building. We had the toughest season ever but the whole team just about has stuck together, and they love playing in this unit,” Fisher said. 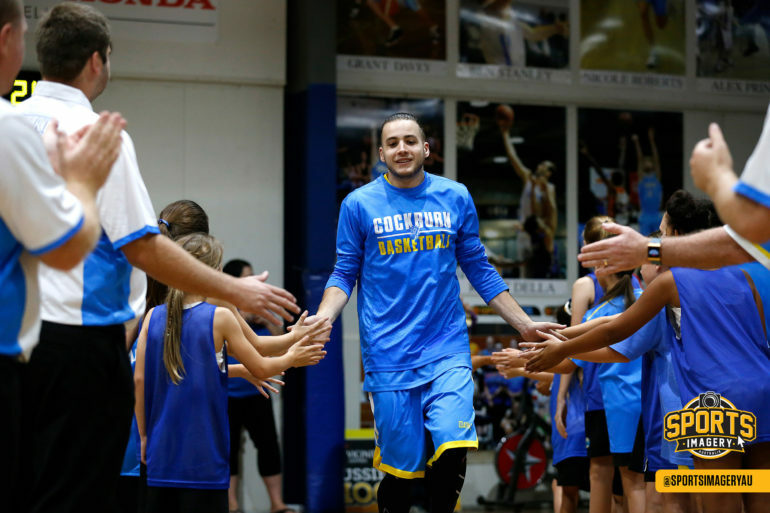 “They go through an intensive pre-season and this development is not just about magical stuff on the court, it’s done through having a strength program, a running program and sometimes they are training on their own on outdoor courts at 6 o’clock in the morning so we can get the court space. “That shows their level of commitment and we measure everything they do and beep test them every six weeks, and we have quantitative measurements as to how we’re going as a team. They go through it all with a smile on their face and they enjoy playing together which is the key thing. Fisher is fully aware that it just wouldn’t be possible to strip things back so far to build things up from scratch without the support of the East Perth board and if the players didn’t stick with it from year to year. Now they are growing physically and they are working hard to find ways to measure things through facts and figures, not just what Fisher is thinking and seeing. “One of the hardest things about women’s basketball is being able to keep that key group together,” she said. “That means that you have to be able to balance out everyone’s needs versus their wants, everyone’s personal development versus team development and that’s why you need quantitative measurements in place. It can’t be subjective and it can’t just be based on my opinion. “If someone has only increased on 20 per cent on a beep test from last time and someone else has got 45 per cent better, then you can highlight things that way. What Fisher found last year in her first season at the helm, was that things really had to start from the most basic of basketball skills and plans to give to her players. But by doing that, she also has the chance to mould them into being the players she wants them to be and for the team to grow into what she feels will be successful in the longer term both for the group and each individual. She’s already seeing that 12 months on, while they are still chasing that elusive first victory with her as coach, that the growth in what the players are capable of has been enormous already. “Our directions can now be more complex with the girls and we’ve been working hard on our full-court presses, and we’ve ran them the last few games,” Fisher said. “It might be hurting us on the scoreline at the moment while they get used to doing that but it’s a long-term vision in place of getting better at that. You don’t come out and put on a press against a championship level team and think it will work exactly how you want straightaway, so we’ve been playing a defensive game in terms of holding a line. “It worked in patches but what we’re talking about now is not about squaring up, shot fakes, passes in the right areas and those basic skills. We’ve now advanced to spacing, composure, timing and executing. They are more complex elements and that’s the next step up. “It’s a bit more fun now because it’s not as basic but you’re also incorporating all the under-18s at Eagles who have to come train with us for half an hour. In terms of an import, right now for this group of young East Perth players, it would be pointless to the development of the group to bring in someone who is a dominant presence who would hog the ball and shots. Even if someone came in and put up huge numbers and might even lead them to a win or two, it’s not necessarily making any of the local players better because they wouldn’t have enough responsibility to what’s going on. That’s why when Fisher was deciding who to bring in, she saw someone with the unselfish and all-round tools of Janee Johnson who played at the Senators in 2018 as the perfect fit. She couldn’t have been happier with what she’s getting on and off the court. “Janee, from a club perspective, is gold for us. She has taken on the under-18s girls and she’s an amazing coach and they love her. She’s so passionate and structured, and dedicated where I can see her being a coach in the future,” Fisher said. “She is also an extremely talented graphic designer and she’s been working on the club’s social media stuff so she’s contributing to the club not just on the court. “But on the court, we need her strength inside and then in terms of the club, she’s been instrumental and we hope to keep her for a long time. It’s far from just being about what’s happening on the court with the Eagles though. Fisher and East Perth have a much bigger picture of what role basketball can play in the whole community and that’s a big part of everything they are doing. “They are developing in so many ways as people as well. I employ three of the squad members in my work alone and in terms of what we can do here, we have big plans,” Fisher said. 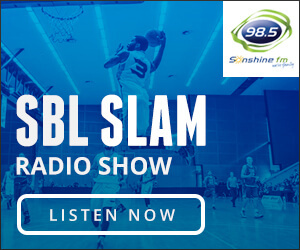 “We want to run a Sudanese basketball camp, we want to run an NCAA endorsed competition to showcase some of our talent and we have an amazing African popular here and it’s just from Sudan.